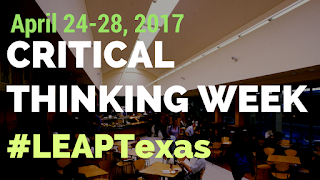 An extravaganza of Critical Thinking themed activities and conversations taking place online specially designed to engage faculty across Texas. 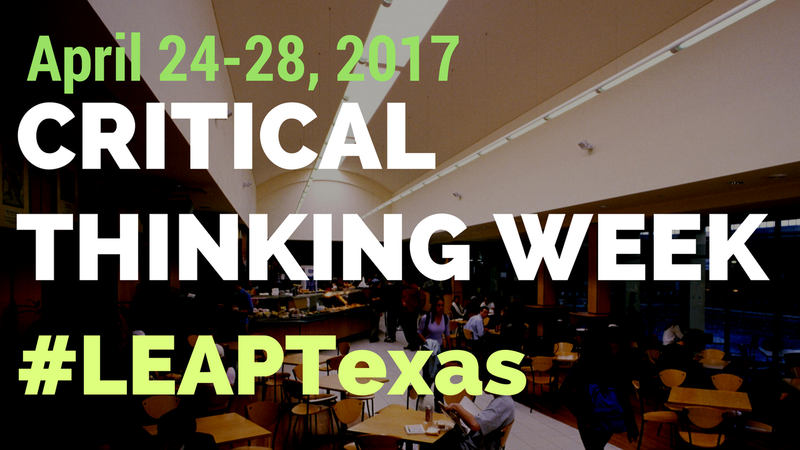 Hosted by LEAP Texas and the American Association of Colleges and Universities. At 12pm on the day of the chat, log into Twitter and type in #LEAPTexas(not case sensitive).